ALL Donations go to Artists! 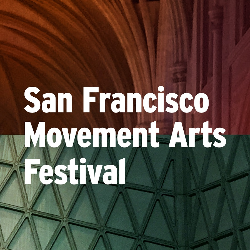 With 250+ Local Artists in Dance, Theater, Music & Visual Arts - SFMAF 2019 is celebrating the movement arts & turning the entire Cathedral into a stage - including the main floor, attached chapels, hallways, stairways, and front entryway. 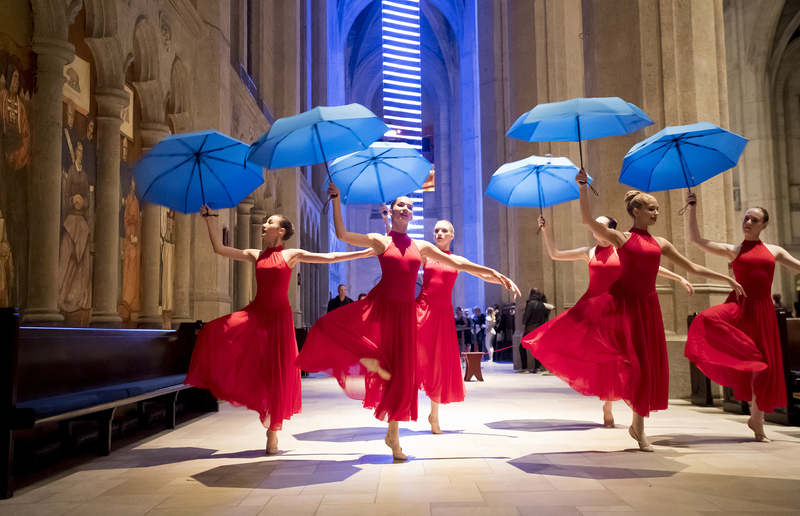 As you enter the Cathedral, multiple STATIONS of the Movement (performances) will be going on, simultaneously, throughout the grand church. Stroll around, at your own pace, witness the artists once and go back to see some favorites. Like going to a Live Gallery or Farmer's Market, but instead of produce, it's performances. Each STATION of the Movement (12+) will have up to six groups performing & rotating short pieces (4 minutes or less). And each STATION will be its own mixed repertoire including modern & contemporary dance; ballet; ethnic; hip-hop; ballroom dancing; Movement Choirs and much more. In addition, artists will be attacking subjects of female empowerment; artistic beauty; social issues; cultural heritage; personal loss; family love and beyond. You will witness 12 shows (12 mixed repertoires) for the price of one!! NEWS FLASH: There will be a 50+ person choir singing for the "Pre-Show" starting at 6pm. (Festival officially starts at 7pm). During the festival, there'll be a 10 person choir singing at one of the Stations. There'll be a few visiting local artists from AFAR - Los Angeles; Santa Barbara; New York; Sacramento and others - bringing their local art, to help celebrate our local art in the Bay Area. There'll be a least three or more female choreographers showing their work - while their own daughters perform in the festival!! There'll be 2 STATIONS filled with live musicians - with dancers performing to their music. Two "Music Festivals" within the "Movement Arts Festival"
The duration of the main part of the festival will be less than 2 hours and will be capped off with a brief announcement - followed with the finale dance piece, at the main altar at the center of the Cathedr44al. At the end, you're invited to a "meet & greet", on the main floor with the artists - tell them what you liked & even thank them personally. NOTE: Box Office opens at 6:00pm one hour before the event AND they'll be plenty of pre-show entertainment starting at 6:00pm. You won't want to miss this. Come early. Try not to see everything but enjoy what you do see. Anandha Ray's Quimera Tribe Ritual Dance.